A “WIND MITIGATION” Inspection will save you money! A wind mitigation inspection can be ordered for just $95 as an “Add-On” to our Full Home Inspection or just $125 if ordered as a “Stand-A-Lone” Inspection in East Orange, Seminole or West Volusia County. Wind Mitigation Inspections are often required by your insurance company if you are seeking discounts off of your homeowners premium. This is an excellent extra value when you select AmeriHome Inspection Services as your choice Home Inspection company. Check with your insurance company to see if you can qualify for a premium discount with this important inspection or click here to determine your potential savings! THIS REPORT MAY QUALIFY YOU FOR DISCOUNTS ON YOUR HOMEOWNERS INSURANCE POLICY! CHECK WITH YOUR INSURANCE AGENT FOR DETAILS! So…what does it cover? The following items are building features that reduce wind damage for which many insurance companies offer wind premium discounts. Check with your Insurance agent to see if your home qualifies. resistant glazing or other protection systems. roof covering is blown off in a windstorm. the garage door is not protected. A wind mitigation inspection is an assessment of a property’s construction to identify wind damage resistant features. This includes roofs which meet strong roof deck attachment, roof to wall connections, hip roofs, braced gable ends, secondary water barriers, reinforced wall construction, and opening protection. Depending on home conditions, windstorm insurance rates can be reduced substantially with a Wind Mitigation Inspection. A wind mitigation inspection verifies construction methods /technologies that provide greater protection from wind borne hurricane damage. 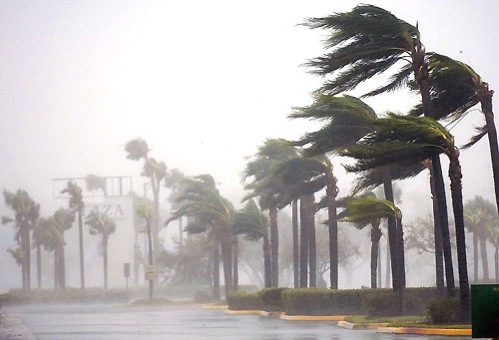 According to Florida Statute 627.0629, all insurance companies are required to offer Florida homeowners “discounts, credits, or other rate differentials…” for particular construction techniques that help to reduce wind damage caused by hurricanes, tropical storms and other windstorms related claims. 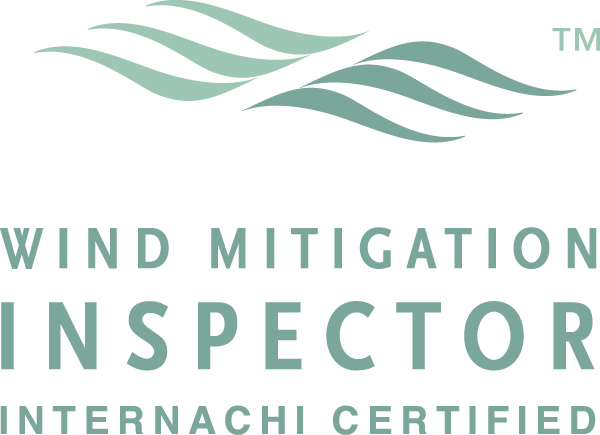 Wind mitigation inspections can only be conducted by licensed Home Inspectors, or other qualified Inspectors, such as Building Contractors, Engineers, or Architects Certified by the State of Florida. Wind Mitigation discounts are applied towards the windstorm portion of your total insurance premium. Depending on where you are located in Florida, the windstorm portion is approximately between 15% and 70% of the total premium. Greater discounts are available in High Velocity Wind Areas. Premium discounts are not calculated by the inspector or the inspection company, but by the insurance company and underwriters based on the results of your inspection report. How do I request a wind mitigation inspection? or by calling this number 407-765-0276 The homeowner must be present during this inspection. The time the inspection takes depends on the difficulty of the inspection and the complexity of the home. Typically it takes our inspectors 15 to 30 minutes. When will the report be available? What are we looking for when inspecting the Attic? The inspector is looking to see what decking material the roof is attached to and how that decking is attached to the trusses or rafters. One of the primary objectives is to determine how the trusses or rafters are connected to the exterior walls of the home. If the home has any gable ends, are they braced? Is a secondary water barrier present and properly installed? Measurements and photos are taken to verify these items. What are we looking for when inspecting the Exterior? What type of wall construction and roof shape does the property have? The inspector will look at the doors and windows to determine if they are impact rated, or if protection devices such as shutters are present and impacted rated. In addition, if your home is constructed of concrete block, then it is tested to determine if it is reenforced with steel. What should I do to prepare for the inspection? We will need access to the attic and all exterior sides of the home. Make sure there are no obstacles blocking the attic entrance. If you have pets please make sure they are secured. If you have documents on your roof, shutters, and garage doors, please have them ready for us to review. AmeriHome Inspection Services does not guarantee that your insurance company will offer discounts with this attachment. Contact your Insurance agent for details!